Training your dog to come is fun, and training can be used in the form of a game. 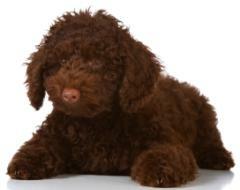 Some poodle owners enlist family members to help them teach their poodle the important command. To teach your dog to come, one of the basic dog commands, say her name and "come", kneel down and hold your arms open. Once she starts towards you say "good girl!" You can use a dog training treat if you'd like. Continue praising until she comes close to you. Never call your poodle to come to scold him. He'll remember this in the future, and it will be difficult to get him to come to you. Some people avoid the word "come" and teach their poodle a game to get him to come to them. 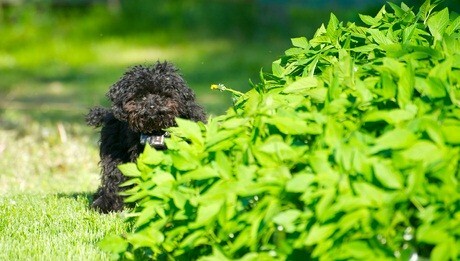 It's like a modified version of hide and seek which poodles love! It's one of the fun dog games. Start with 2 family members taking your poodle pup's favorite treat into separate rooms. You don't have to hide. Call her name, say "Where are you?" and when she finds you, praise her and give her the treat. Play this game every day, adding a few more family members to it. Your poodle quickly learns that "where are you?" results in praise and a treat. In the future, calling out "where are you?" allows her to come to you without actually having to say "come"! You can also hide in the room for a little added fun! Holly loved to play hide and seek and seek me out. Most times she won, but there were times I found a great new place to hide and she couldn't find me. But she quickly learned to check that place first the next time we played! You'll need to have one word that lets your poodle know when the training session is over. "Done" or "okay" are two words to use. When the session is over, say "done" enthusiastically then play with her. 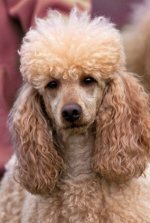 Training your dog to come will be fun if you make training fun and give your poodle a favorite treat during the training; two of the effective ways to have your dog learn quickly to come over to you when her name and the command are called.